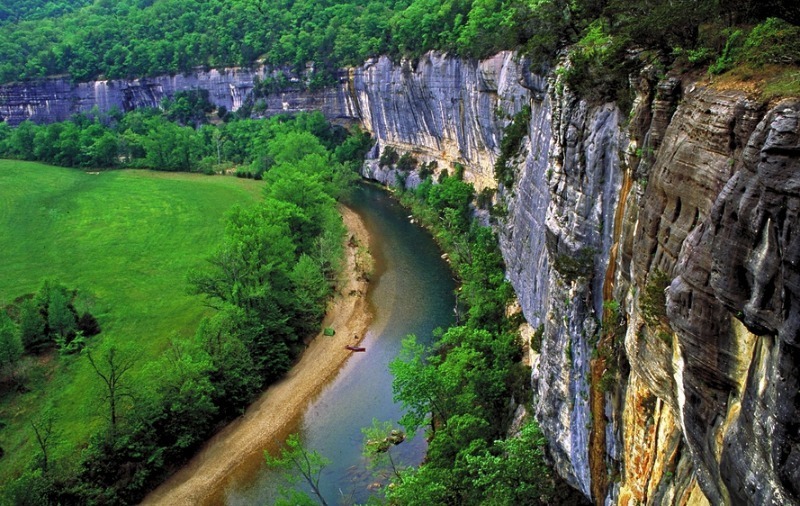 The Buffalo National River begins as a trickle in the Boston Mountains, where it flows north and then eastward through the Ozark Mountains until it merges 150 miles later with the White River at Buffalo City. The upper Buffalo, where Ponca is located, offers the river’s---and Arkansas'---finest scenic beauty. With its massive towering bluffs, countless waterfalls, watchable wildlife, ties to both historic and prehistoric cultures, and remote unspoiled location, the upper Buffalo River wilderness is surely mid-America’s finest outdoor destination. This unique status protects the Buffalo from commercial or residential development, along with other destructive operations such as damming and gravel mining, thus preserving its scenic beauty and natural wild state forever.